Pirates, dinosaurs, treasure maps, and Vraska...that can only mean one thing. Ixalan is almost here! 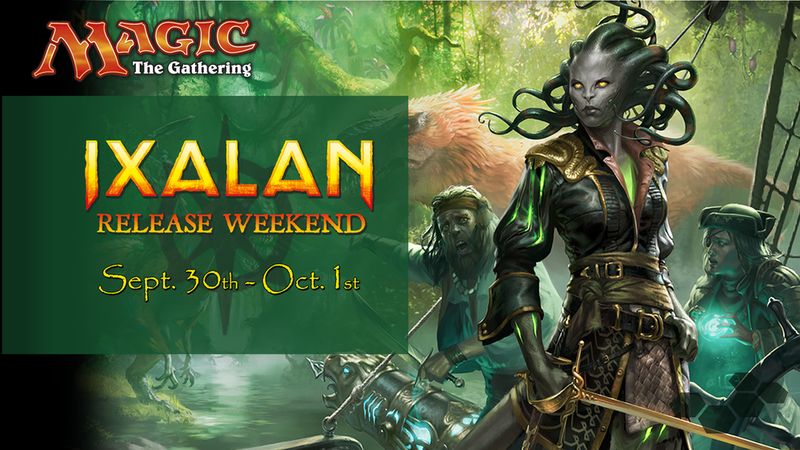 Join us for the release draft of Ixalan! Each participant will receive a special foil Launch Weekend promo, Bishop of Rebirth, in addition to store credit to top finishers.